The convergence of several unprecedented trends is radically changing the global higher education landscape and applying new pressure on universities as their competitiveness, course delivery and reputations are being realigned, says Dr. Rohan Carr, Higher Education practice leader for IRC Global Executive Search Partners. “Higher education is going through a revolution,” Dr. Carr says. “The rules of the game are changing fast, and the new priorities we’re seeing are having an incredible impact on how universities around the world fund operations, leverage technology, recruit talent and prepare graduates for the new realities of the 21st Century workplace and careers,” he adds. Today, the dynamics of the global higher education market have become intensely competitive. Universities are grappling with reduced government funding for teaching and research. New digital competitors are radically redrawing the transfer of knowledge to emerging middle classes around the world. And global economies are creating new job functions and careers while abandoning others at a faster rate than ever before. The reduced unwillingness of western governments to fund higher education at the levels they once did and the necessity for universities to seek new, alternative sources of income. The growth of the middle classes in China, Mexico and Latin America, the Middle East, India, and other countries and the high value they place on a western higher education. The revolutionary expansion of digital education and the disruptive technologies and knowledge-delivery models that now compete for students with traditional university systems. The competitive pressures universities face related to research, teaching, quality, endowment growth and rankings and the drive to seize new opportunities in each of these areas. With the “career for life” model a vestige of the past, universities must recalibrate the transfer of knowledge and skills today’s employers will find relevant and sustainable given their global business competition and the objectives they need to realize through people. While this provides opportunities for western universities to earn revenue, it is potentially only a relatively short-term opportunity (until Asia can develop its own highly ranked institutions) and can be highly volatile as countries like Australia have experienced. Reduced government funding of universities globally is also forcing universities to focus on growing their endowments and running themselves in a much more commercial way. Public universities in the United States, for example, have seen a reduction in government support of between 15% and 35% over the past 25 years. The U.S. is not alone. In the United Kingdom, established universities such as the University of Cambridge and University of Manchester have started issuing bonds to fund capital expenditure to compensate for reduced government support. With reduced funding from the state, universities are increasingly reliant on philanthropic donors to support both infrastructure developments and operations. While the University of Pennsylvania was recently able to complete a five-year fundraising campaign that raised more than $4.5 billion, not many universities have this capacity, and in many countries, such a culture of philanthropy is underdeveloped. With fewer state-run or state-governed institutions, Dr. Carr suggests, it may be that more for-profit teaching enterprises take flight while non-profit, educational platforms such as Khan Academy – which promotes “a free, world-class education for anyone, anywhere” – continue to redefine the global market for higher education. Online education is rapidly revolutionizing the delivery of knowledge. Some universities now have more students enrolled in online programs than matriculated on campus. Yet digitized education is still in its early days, Dr. Carr opines. It is the subject of significant ‘experimentation’ as institutions consider how it could potentially dilute their brands and minimize the appeal of the traditional college experience. The disruptive forces on traditional higher education include Massive Open Online Courses, or “MOOCs” a relatively recent but rapidly emerging and increasingly credible form of education aimed at unlimited participation and open access via the web. These are known increasingly for their interactive user forums that help foster communities of students, teachers and teaching assistants. Organizations such as Coursera, an education platform that also offers free online courses, are entering the market in some cases as a partner to traditional universities and, in other cases, as a direct competitor. “Now I can go on the Internet and do a philosophy course out of Harvard. I can get it anywhere in the world, and in some cases, it’s free,” Dr. Carr points out. In some countries, governments are actively encouraging the ‘for profit’ education enterprises, many of which are expanding into the online space. One of the biggest challenges moving forward, Dr. Carr explains, is the alignment of university education with corporate human capital needs. For the past few decades, one of the roles of universities was to produce graduates ‘work ready’ and who immediately entered a profession or industry, thus embarking on a lifelong career. Two things have changed to challenge this. First, there are now fewer lifelong careers and thus it will be necessary for universities to look at how they educate people over their entire working lives rather than just at the start. Second, universities are having difficulty keeping up to date with changes in industry demands such as the speed of change within the global economy. Another area that reveals growing competition within global higher education is in the search for the best and brightest candidates to fill key teaching, research and leadership roles. Higher education is being driven increasingly by demand-side dynamics that have long characterized the tug of war for talent in corporate circles. Just 20 years ago, executive search in academia was largely limited to searches to find Presidents and Vice Chancellors. Even just five to 10 years ago, Dr. Carr observes, the search for non-academic leaders in global higher education was confined to a single talent pool – that is, experienced administrators with long careers within established, bricks-and-mortar institutions. Fast-forward to today, where search has become an integral channel to source talent not only for leadership and administrative posts, but senior and specialist academic talent as well. Just consider one recent search for a senior Professor of natural resources economics with a focus on fisheries. “There’s probably only a dozen people who can do that job globally,” Dr. Carr observes, so one can appreciate just how difficult it would be for universities to find a satisfactory solution from advertising the job vacancy. Dr. Carr points out that academic experience and being published in high quality journals are of course still critical. However, leadership and management skills are becoming just as important when considering new university appointments. 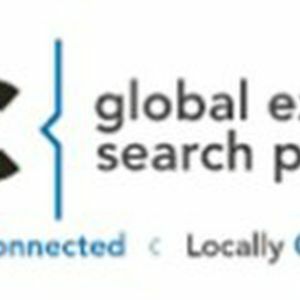 IRC Global Executive Search Partners is a market leader in the global executive search industry with a track record of more than 25,000 completed search assignments for more than 1,000 clients across industry segments and executive management functions. Our clients range from large multinationals to middle market companies that enjoy the advantage of working with leading local firms around the globe, providing them access to expert local market knowledge, the agility and commitment of owner-operated firms, and the global reach of a strong alliance. With a growing roster of leading executive search firms across EMEA, the Americas, Africa, Asia and Australia, IRC Global Executive Search Partners has more than 300 accomplished executive search professionals working on six continents, and in more than 35 countries. Ranked among the world's ten largest retained search firms, IRC Global Executive Search Partners has provided consistent and high-performance executive search solutions to its clients for the past twenty years. For more information about IRC Global Executive Search Partners, visit us online at www.IRCsearchpartners.com. ExeQfind and The QualiFind Group are proud of the intellectual capital represented in our membership in IRC Global Executive Search Partners. With partners such as Dr. Rohan Carr, we are able to leverage specialized search expertise on behalf of our clients in Mexico and Latin America. With over 15 years in the executive search industry, Dr. Rohan Carr combines his previous senior experience within the chartered accounting, corporate advisory and stock-broking industries to deliver superior executive search solutions to his clients. His clients have also benefited from his considerable exposure to the higher education sector, as he is regularly sought by educational institutions to lead their searches for senior appointments. Dr. Carr commenced his executive search career as an Associate at our Australia-based partner in IRC – The Insight Group before joining another international executive search firm, where he spent three years as a Consultant. In 2002, he returned to The Insight Group as a Director, where he now consults to a range of private and public organizations across a variety of industry sectors including financial services, manufacturing, not for profit, professional services and education. He is also a member of various boards and advisory committees of private companies, not-for-profit organizations and educational institutions. Dr. Carr is the Regional Leader for the Asia Pacific Region of IRC Global Executive Search Partners and also heads the IRC Education Practice globally.